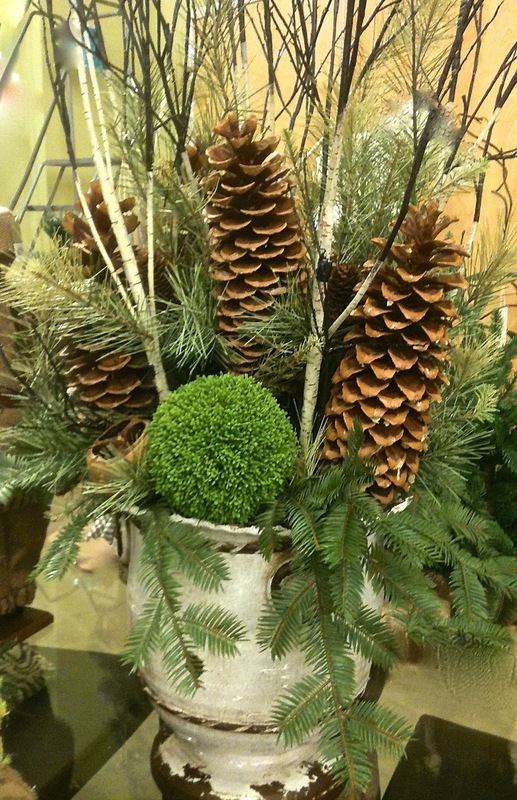 Georgia's Home Inspirations: Lisa and Nikki's Holiday Friday Finds! 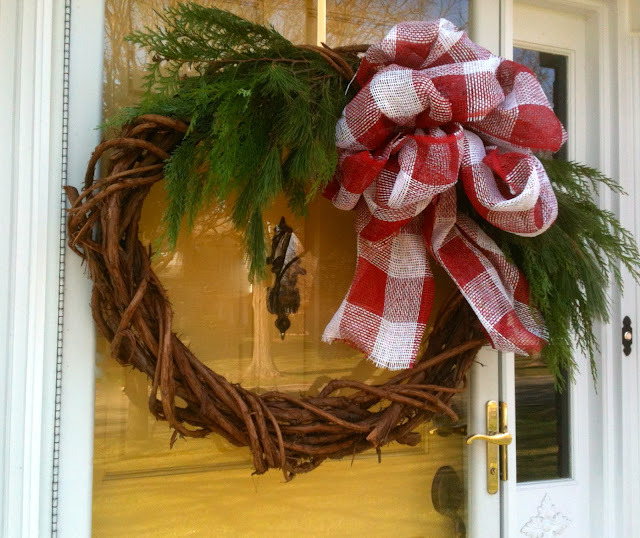 This week's Friday finds is devoted to decorating for the holidays! What has inspired and delighted us? Here they are - the sights, sounds, and one-of-a-kinds we loved! You have to love this over-sized grapevine wreath embellished with a cheerful gingham bow! 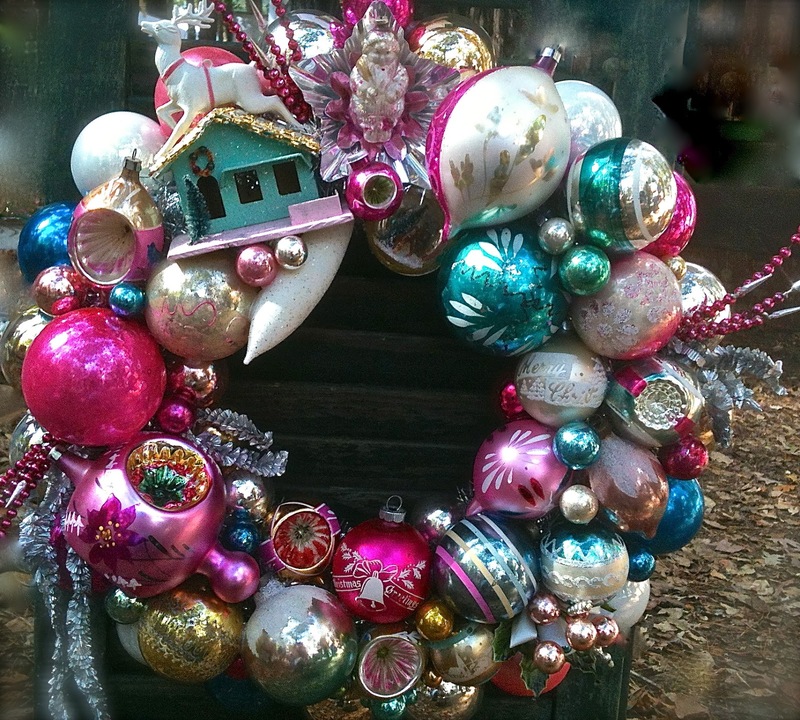 Beautiful wreath made with vintage ornaments! Look at this basket of vintage ornaments! We love the idea of displaying these beauties in a bowl, apothecary jar or adding them to your ornament collection and covering a slim line tree placed in your kitchen. Sugar pinecones in seasonal planters. So quick and easy to assemble! 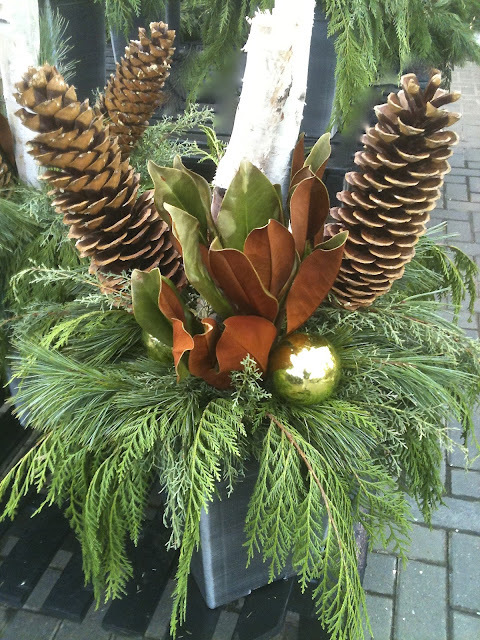 Georgia's is all about repurposing so we love what Green Depot is up to. 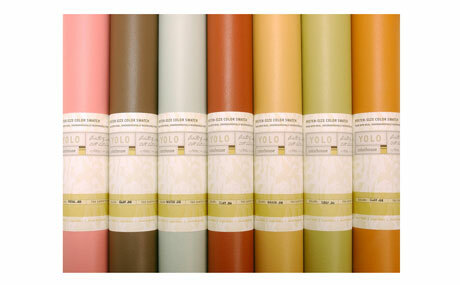 They are selling 23" x 27" color samples from YOLO Colorhouse, an eco-friendly paint company, for $2. These samples, meant to save paint bought for painting test patches, make beautiful craft and wrapping paper! What a treat! Randolph Street Holiday Market shoppers and vendors were entertained throughout the show by carolers. This photo was snapped during their rendition of "Let it Snow". 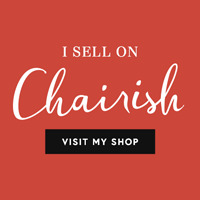 Check back next Friday for vintage stocking stuffers for the home!